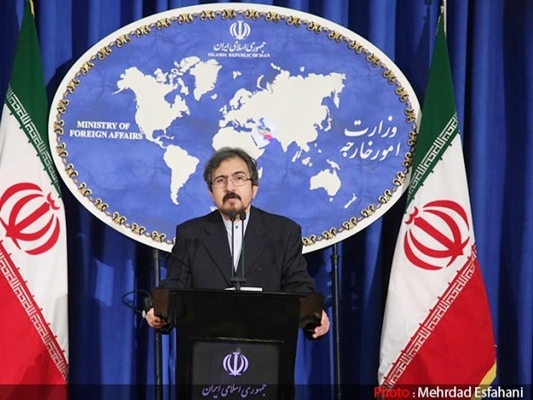 Iranian Foreign Ministry Spokesman Bahram Qassemi announced that Tehran hails the cessation of war in Syria, but the borders should be controlled to prevent the arming of terrorists during the truce. Moscow and Washington agreed on Saturday a nationwide cessation of hostilities which will go into effect at sundown on September 12. In reaction, Qassemi said that Iran always welcomes any ceasefire in Syria and the facilitation of all Syrian people’s access to humanitarian aid. According to a report by the Foreign Ministry’s official website, as translated by IFP, Qassemi stressed that the ceasefire does not include such terrorist outfits as ISIS, Nusra Front, and newly-established groups derived from them. He further urged that the ceasefire should not be used as an opportunity to regroup the terrorists and transfer fresh militants and new arms to the extremist groups. “Therefore, the continuation and sustainability of the ceasefire hinges on creating an inclusive mechanism for monitoring and controlling the borders in a bid to prevent the dispatch of fresh terrorists, arming, and financing the terrorists,” Qassemi noted. During the ceasefire, he added, the humanitarian aid should be sent to all Syrian areas without any discrimination. Qassemi went on to say that the aid should be dispatched particularly to the terrorist-held cities and towns, which have received less attention and been in adverse conditions for many years. “The Islamic Republic has always emphasized that the cessation of war and a political solution are the sole ways to settle the Syrian crisis,” he said.